Already in the early years of Russian cinema Protazanov’s name was a hallmark of artistic excellence. 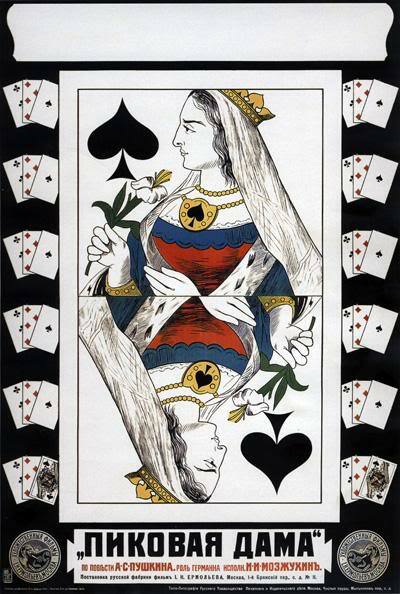 “The Queen of Spades” is a brilliant example of his extraordinary talent. 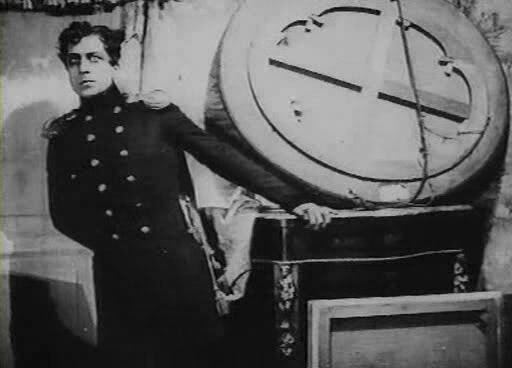 The film has not only a first-rate story and ingenious Mozzhukhin’s performance, but also all the tricks that were available to filmmakers in 1916. The use of crosscutting in the film is quite sophisticated for the time; superimposition is yet another important device; and the use of flashbacks here is very effective. Unlike most pictures of that time “The Queen of Spades” made a genuine contribution to the evolution of Russian film art. I think it would be great if more people see one of the best pre-revolutionary Russian films. While hosting a game of cards one night, Narumov tells his friends a story about his grandmother, a Countess. As a young woman, she had once incurred an enormous gambling debt, which she was able to erase by learning a secret that guaranteed that she could win by playing her cards in a certain order. One of Narumov’s friends, German, has never gambled, but he is intrigued by the story about the Countess and her secret. He soon becomes obsessed with learning this secret from her, and he starts by courting her young ward Lizaveta, hoping to use her to gain access to the Countess. 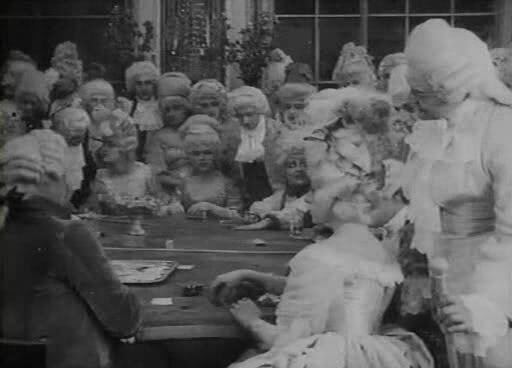 The Queen of Spades is a 1916 film adaptation of the Aleksandr Pushkin short story of the same name, noted for high producer and operator culture, with the psychological depth of actor’s game, first of all of Ivan Mozzhukhin. It was one of the best pre-revolutionary films. 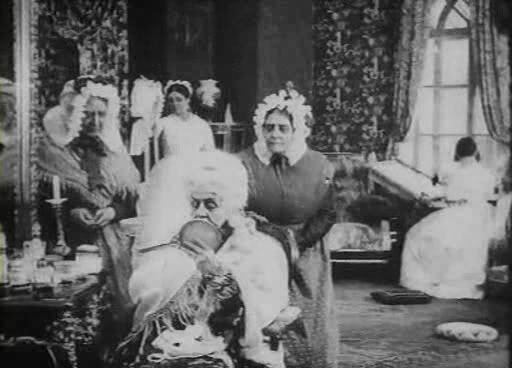 Film was the second production (first was the silent film adaptation of the Pyotr Tchaikovsky opera) of mystical novel of Aleksandr Pushkin, named by critics as “monumental”. Director used the receptions, unexpected for those times, like retrospection, visions of heroes (as if the prototypes of the stream of consciousness), the combination shot.